Hi everyone! 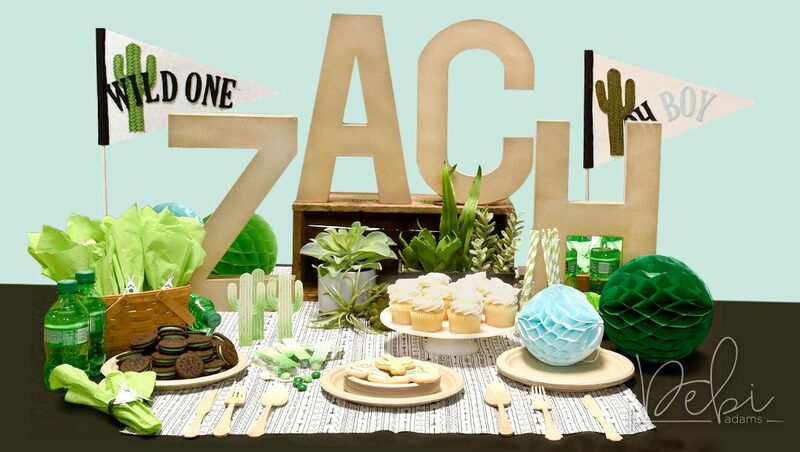 I’m Debi Adams and if you have been following me the past month, I am doing a series on party décor. It is a subject that is near and dear to my heart. Truth be known, I have probably thrown well over 100 parties in my lifetime, so far. I never tire of them. Last month I showcased a birthday celebration. 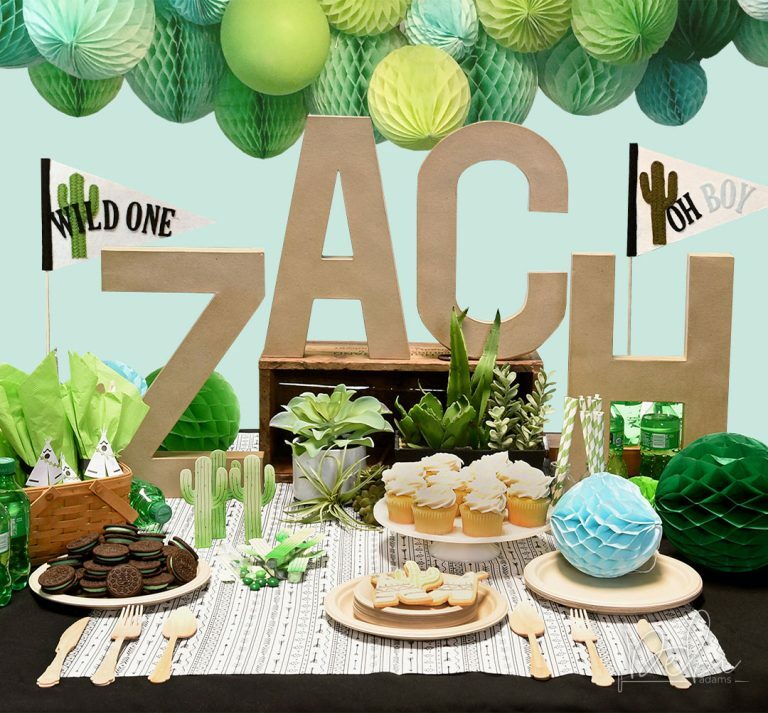 Today I am featuring a baby shower. This one happens to hit close to home as this was an actual shower for my daughter, Lauren who was expecting her first baby, Zachariah. He has since made his grand entrance into this world, making me a first time grandma. Here is the complete display. I always feel like a party needs a central, visual spot. 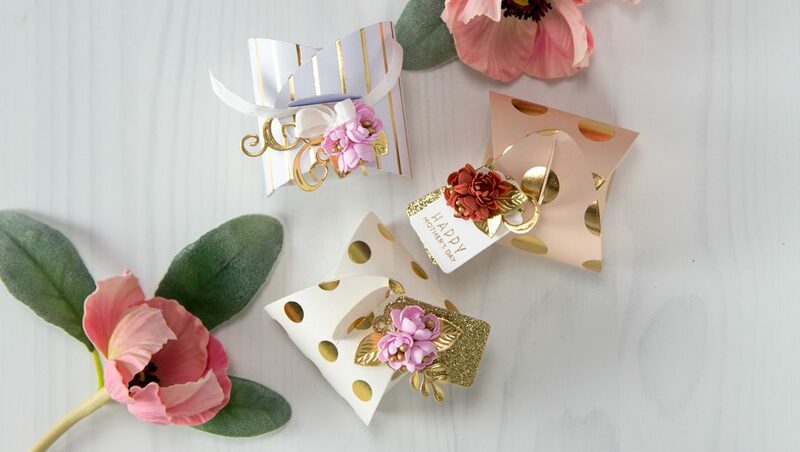 I made these easy little party favors using our contour Cactus die. I cut them out of cardstock, embellished them with ink using a Tool ‘n One with the circle foam applicator, and added details with a fine tip black pen. They were then attached to a clear box filled with mint-flavored, green m & m’s. 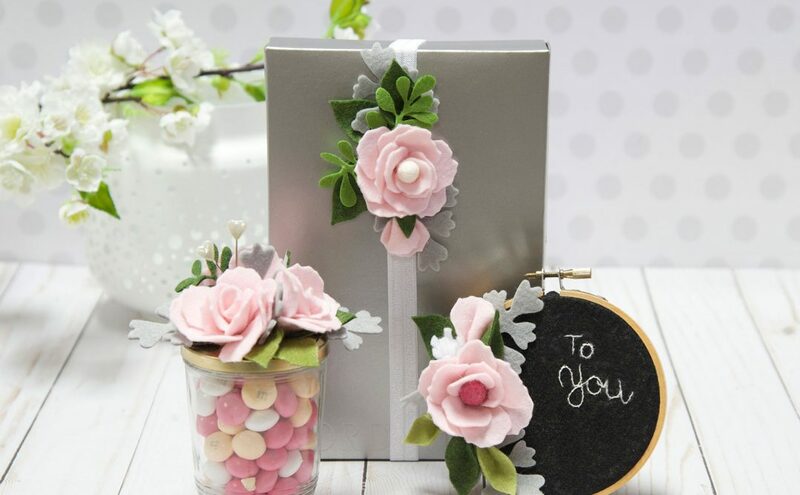 Other supplies: Clear box – Tall (I suggest Clear Bags., they have all sizes of boxes to choose from); Cardstock; Ink Pads; Black Micron Pen; Adhesive Tape; Mint m & m’s. One of my favorite decorations at the party was this pennant. Creating one takes maybe 10 to 15 minutes and although I sewed it, sewing is not necessary. The pattern for just the pennant is free here. Other supplies: Stiff White Felt; Felt in Your Choice of Colors; Fusible Web; Iron; Dowel Stick; Scissors; Hot Glue Gun. Cut the pennant from stiff felt using the pattern provided. Apply fusible web to the back of various shades of felt as instructed on fusible web packaging. 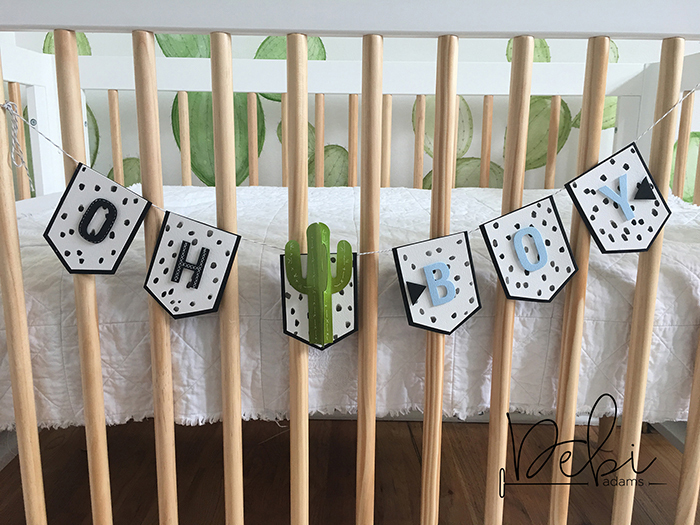 Die-cut the Cactus and letters from felt. Iron Cactus and letters to pennant as desired. 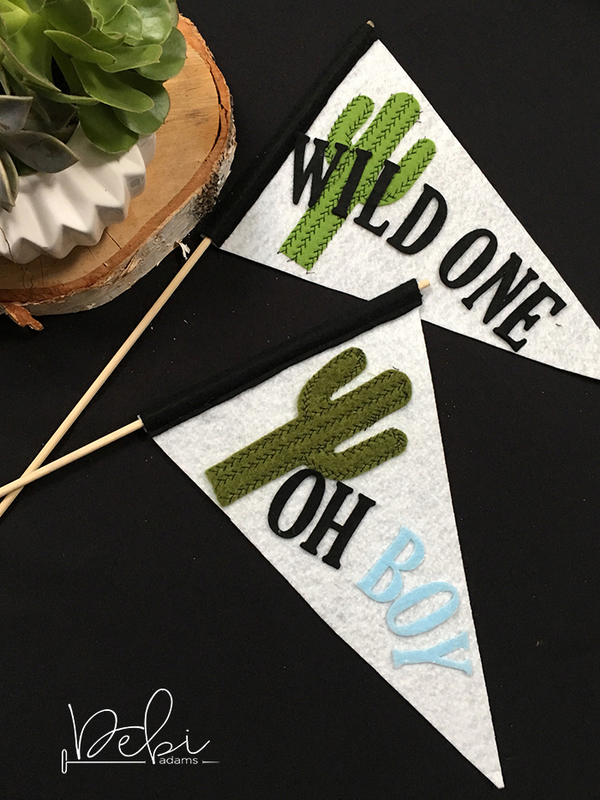 It is optional to stitch on Cactus. Cut a wide strip of felt to hold a dowel stick, with the length being as long as the one edge of the pennant. Make sure to double the width so that it wraps to the back side. Hot glue or stitch black strip onto both sides of pennant, leaving room for insertion of the dowel stick. 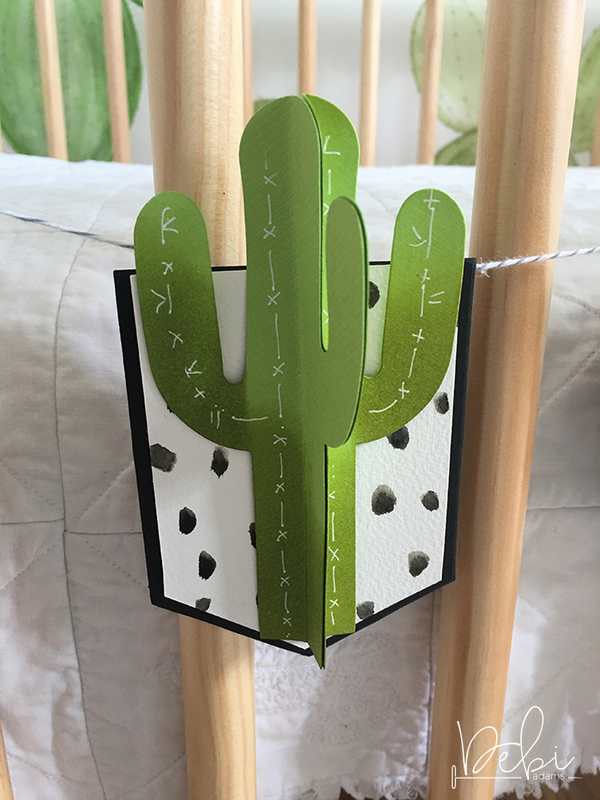 Having done the baby’s room in a cactus theme, I wanted that same decor at the shower. 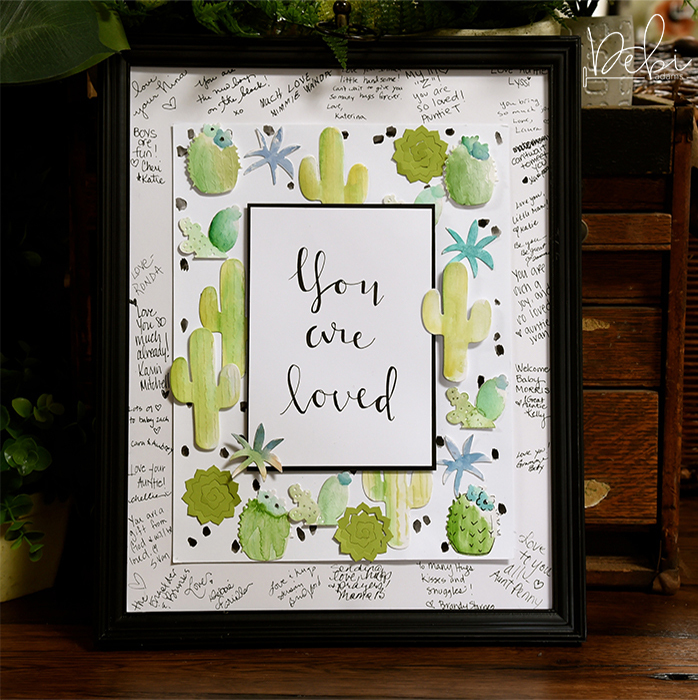 I decided to make a picture that everyone could sign and decorate it with different types of cacti, that way she could use it in the baby’s room. Other supplies: A Piece of Background Cardstock Large Enough to Fill a Frame; Frame (mine was 11′ x 14″); Watercolor or Mixed Media Paper; Solid-Colored Cardstock (I chose white, green and black); Watercolors; Ink Pads (I chose several shades of green and a blue) – optional; Waterbrush; Black Micron Pen; Foam Dots. Cut a piece of cardstock to fit inside frame. Cut a sheet of watercolor paper slightly smaller than the frame base. Paint black stroke dots onto the watercolor paper. Adhere watercolor paper to center of frame base. 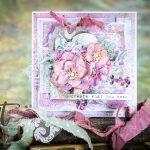 Die-cut many types of Cacti and Pinecones from mixed media or watercolor paper. 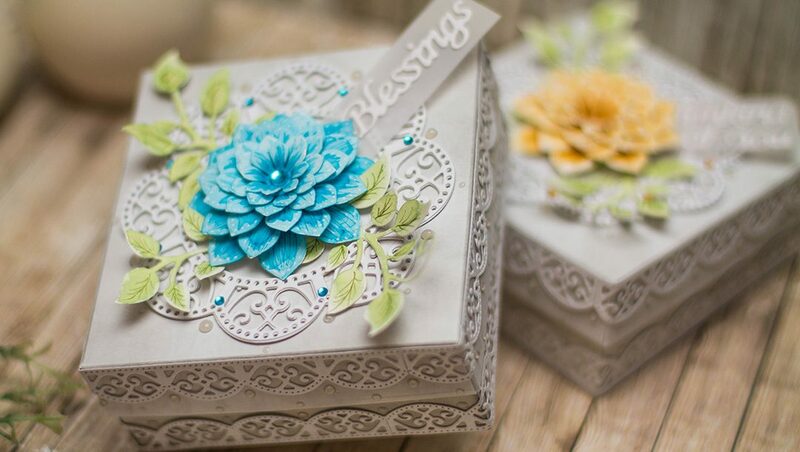 Color the die-cut pieces by either using watercolors and a water brush or ink and a Tool ‘n One with foam tip. 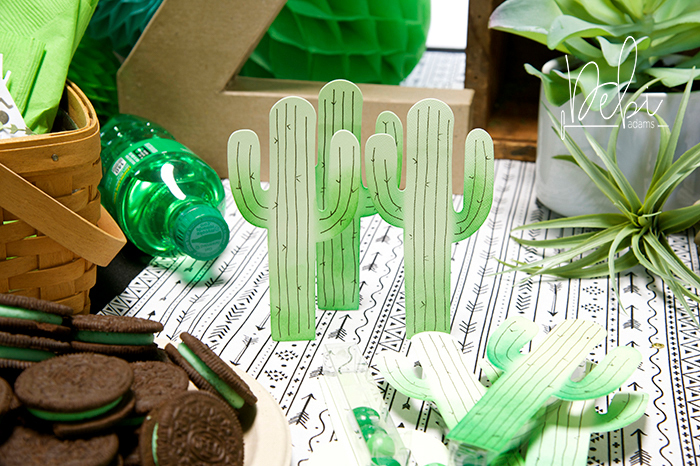 To add contrast to the Cacti, add several different shades of green paint or ink. Adhere painted Cacti to base using adhesive and foam dots, leaving room for smaller, rectangular frame. Cut a piece of cardstock smaller than the watercolored, dotted paper. 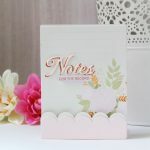 Write or print a sentiment onto that piece of cardstock using a black micron pen. Mat sentiment onto black cardstock. Adhere sentiment piece into the middle of the frame using pop dots. Napkins Rings really added a special touch to the table. I always say it’s in the details. I die-cut the Tepees and banners from cardstock using the Tribe Vibe set. Use the Tool ‘n One and foam applicator to apply black ink to the tepee and green ink to the banner while the paper is still inside the die. When finished, pop out the tepee and banner. 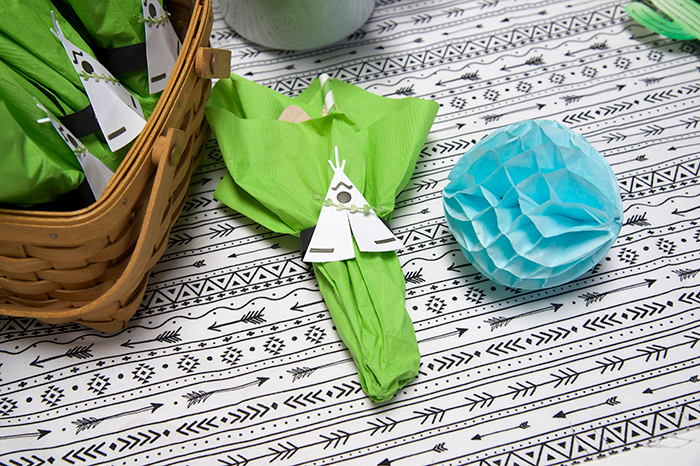 Attach the banner to the tepee then attach it all to a ring made from paper and insert the napkin. Very quick and simple! Other supplies: Cardstock (I used black and white); Black and Green Ink Pad; Hot Glue. What party would be complete without a banner? Once the shower was over, my daughter used it on the side of her baby crib. It will only be able to stay there for a short time, but I think it looks pretty cute there for now. Making this banner was one of my favorite things to create. Other supplies: Watercolor Paper; Water Brush; Cardstock; Twine; Foam Dots; Hot Glue; White Gel Pen. Die-cut 6 pieces of watercolor paper from smallest “pointed” banner and 6 pieces from black cardstock from larger banner. Layer and adhere pieces together. Dot watercolor paper with black paint using a water brush. 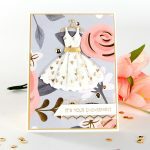 Die-cut letters from Type-Oh contour die using cardstock. Adhere letters to banners with foam dots. Embellish with white gel pen if desired. Die-cut two Cactus from green cardstock. Fold cacti in half. Adhere one side of cactus to other side of other cactus. Embellish with white pen. Adhere to banner. Adhere twine to banner with hot glue. And there you have it! I have more things for this event so be watching the blog for special features! Thanks for joining me.